Worried about huge service/enquiry support calls and email queue? Unable to deal with piled up forms or spreadsheets or a combination of both? Manually tagging, categorising and prioritising the enquires/service queues? Do not look further, theDigitalworkers's Help Desk Automation BOT is a perfect solution for your service/enquiry problems. theDigitalworkers's Help Desk Automation BOT is a Chat BOT which helps you deal with your service/enquiry support requests via ticket based resolutions. theDigitalworkers's Chat BOT captures your enquiry/service requests and converts them into tickets and helps in easy resolution of each request by further categorising, tagging and prioritizing them without any human intervention. Thus, automating the entire Help Desk process and reducing manual hours, manual efforts and automation of the entire workflow process. theDigitalworkers's Chat BOT is customizable as per your business requirements and can be easily integrated with third party systems. Thus, improving productivity and support process with theDigitalworkers's Help Desk Automation. 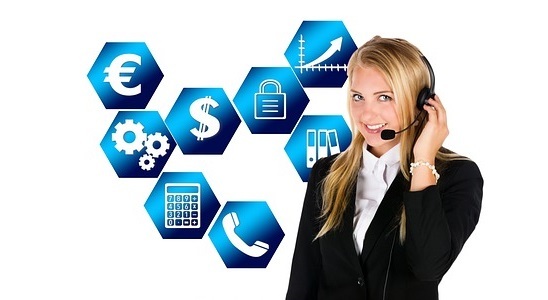 Serve your customers better with theDigitalworkers's Help Desk Automation and how?